Skagen is a Danish company that Fossil bought about five years ago. Since the acquisition, Skagen has been releasing watches regularly. However, this year during the IFA 2016 in Berlin, Skagen has released its first smartwatch called Hagen Connected. 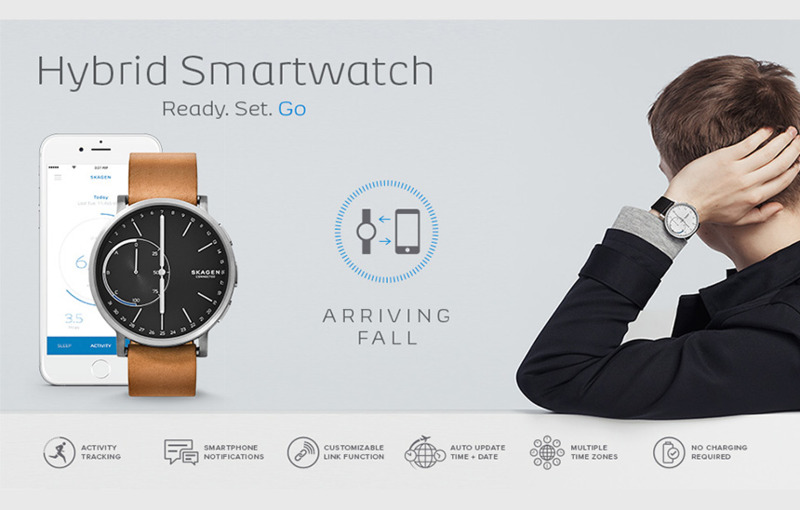 You will be able to get your hands on their first smartwatch this fall. It is an analogue watch with the usual rounded watch face. There will be four available styles for the body, which will all come with a leather strap. Of course, the watch straps are interchangeable, with a steel-mesh, silicone band or a different leather strap. With no touch, screen this watch can squeeze six months of battery life out of its replacable coin cell battery. A partnership with Misfit enables Skagen to have some activity tracking technology inside. Your steps will be monitored, and you can see your progress on the right-hand side of the smaller circular progress dial on your watch. This is similar to the way the new Withings Activite Steel HR shows progress and notifications. The watch will vibrate when you have a notification and if it is from one of your four most most important contacts, the hands on the sub-dial will turn to the corresponding letter, A trough D. You can set those up in the app on your phone. For example, assigning your partner to letter A will cause the dials to point to A when you are phoned or messaged by them. It is a neat trick, to show you notifications without putting any type of digital screen on the watch. Extra functionality can be gained with the Skagen Link software which will enable users to take photos, control music and track their goals, with one of the three physical buttons on the right; it is what we call a “smart button”. The watch will automatically change to the new time-zone if you are traveling to a new country. Fairly expensive, given the activity tracking is not so elaborate on this watch. However, for this price you do get a beautiful, premium design that is a pleasure to look at. It will be available from October and detailed pricing on each exact model is yet to be released, but they will all be around the $195 mark. 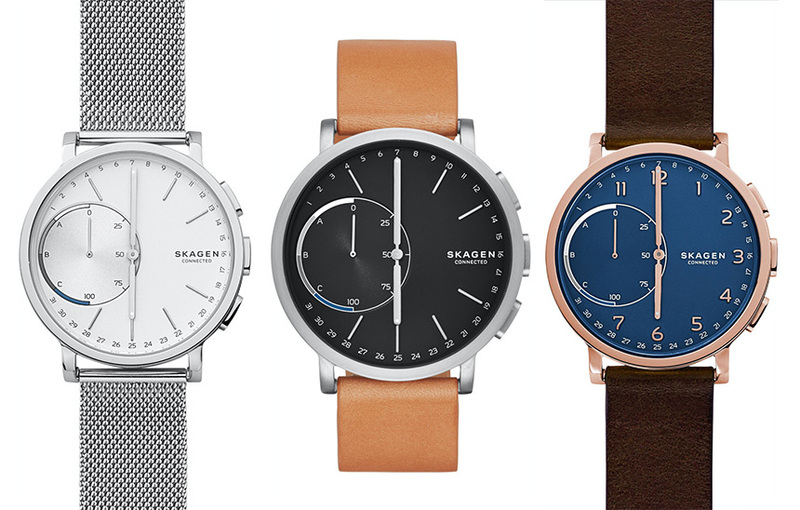 Skagen’s Hagen Connected will appeal the most to those who want a gorgeous design, without having to charge every few days.